PDF version of this newsletter. The Kinesin Spindle Protein (KSP; a.k.a. Eg5 or KIF11) is a plus end-directed Kinesin-5 (a.k.a. BimC) subfamily member and has been the focus of significant drug development efforts for decades. Currently, KSP (or its homologs) is a target for anti-mitotics (cancer)1,2, anti-parasitics (malaria)3, and anti-fungals4. As a microtubule (MT) cross-linking enzyme, KSP plays a critical role in mitotic spindle pole separation, and its inhibition results in the formation of monoaster spindles which is thought to lead to mitotic catastrophe and apoptosis (Fig. 1). The targeting of KSP as a treatment for cancer is well-documented1,2,5,6. The purpose of this newsletter is to briefly discuss KSP homologs as a therapeutic target for parasitic and fungal diseases. Drugs that target KSP are attractive because the prevalent treatments either produce deleterious side effects or the infectious organisms have developed resistance to currently utilized drugs. The human KSP protein has multiple druggable allosteric sites3, raising hopes that KSP homologs in parasites and fungi can be targeted for therapeutic intervention. Biopharmaceutical companies focus on screening compounds from multiples sources looking for broad spectrum anti-fungals that target KSP homologs. Model fungal cells include Saccharomyces cerevisiae and Aspergillus nidulans which are used in conjunction with mammalian cells to confirm species selectivity and lack of off-target effects4. Besides fungi, parasites are also a focus of KSP inhibitor research. L. Liu et al3 screened compounds for their efficacy at targeting KSP homologs in Plasmodium falciparum and P. vivax to evalulate malaria treatments. The authors exploited the KSP allosteric site characterized by Loop 5 (L5). L5 is an element in the alpha2 helix of the KSP motor domain that defines an allosteric site consisting of a conserved region along with the L5 element which significantly varies in length and sequence across kinesins and/or KSP homologs (Table 1). These variations confer inhibitor selectivity, making L5 an ideal target for allosteric inhibitors. Indeed, it helps form the surface pocket that the KSP inhibitor monastrol binds8,9. Thus, the L5 element offers excellent drug specificity and prevents cross-reactivity between different species3. Inhibitors were screened for their ability to modulate the basal and MT-stimulated ATPase activity of KSP homologs from Plasmodium falciparum and P. vivax as well as human KSP to confirm each inhibitor’s specificity for the parasitic kinesin and lack of off-target effects3. Three different classes of Plasmodium KSP inhibitors were identified: 1). those selective for Plasmodium kinesins; 2). those that inhibited both parasite and human KSP; and 3). those selective for human KSP. Determination of the inhibitors’ binding site/sites on KSP is underway. Hs: human; Pv: P. vivax; Pf: P. falciparum. Adapted from ref. 3. At Cytoskeleton, we have recombinant kinesin motor domains that include the Eg5 homolog BimC motor domain proteins from the filamentous fungi A. nidulans (Cat. # BM01) and A. fumigatus (Cat. # EG02). We also offer compound screening assays with these kinesins or as part of a multi-motor protein screen. Moreover, if the kinesin protein or assay is unavailable, we offer custom protein expression/purification and assay development services. In combination with our kinesin panel screen, we can also evaluate compounds for their effects on microtubule polymerization to identify the mechanism of action for anti-parasitic and anti-fungal compounds coming from phenotypic screens and/or as a useful counterscreen for kinesin inhibitor drug discovery efforts that desire to steer their SAR efforts away from compound effects on tubulin polymerization or species cross-reactivity. Figure 1. Schematic representation of the mitotic spindle and KSP (Eg5) cross-linking spindle microtubules. Adapted from ref. 2. References1. Sarli V. and Giannis A. 2008. Targeting the kinesin spindle protein: Basic principles and clinical implications. Clin. Cancer Res. 14, 7583-7587. Wojcik E.J. et al. 2013. Kinesin-5: Cross-bridging mechanism to targeted clinical therapy. Gene. 531, 133-149. Liu L. et al. 2014. Small-molecule screen for candidate antimalarials targeting Plasmodium kinesin-5. J. Biol. Chem. 289, 16601-16614. Nislow C.E. et al. “Antifungal assay”. US Patent 6,284,480. 4 September 2001. 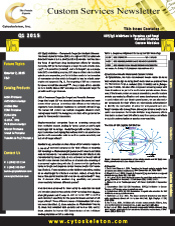 Cytoskeleton 2014 Q2 CSD Newsletter. KSP/Eg5 Inhibition in Cancer: Theory and Therapy. www.cytoskeleton.com. Cytoskeleton 2014 Q3 CSD Newsletter. Drugable site selection for KSP inhibitors. www.cytoskeleton.com. Waitzman J.S. et al. 2011. The loop 5 element structurally and kinetically coordinates dimers of the kuman kinesin-5, Eg5. Biophys. J. 101, 2760-2769. Yan Y. et al. 2004. Inhibition of a mitotic motor protein: Where, how, and conformational consequences. J. Mol. Biol. 335, 547–554. Liu L. et al. 2011. Loop 5-directed compounds inhibit chimeric kinesin-5 motors. Implications for conserved allosteric mechanisms. J. Biol. Chem. 286, 6201-6210. Cytoskeleton, Inc. has been a reliable source of compound screening services in the areas of pre-clinical drug development programs and early compound screening in primary HTS projects, as well as secondary screening and compound target validation. We also have extensive experience in gene design and expression with an eye for producing highly purified biological active proteins. Our expertise in protein purification is the basis for the complementary skill of assay design. We have produced many functional assays for kinesins (e.g., Eg5, CenPE, MKLP2), dynein [cytoplasmic]), myosins (e.g., cardiac, smooth, skeletal, and non-muscle isoforms), small G-proteins (e.g., Rho, Arf, Ral families), tubulins (e.g., tumor, plant, and fungal origins), and actin binding proteins; many of them are multi-protein assays that might have protein complexes of 3 or more subunits, e.g., a soluble sarcomere format and the Arp2/3 complex based assay. 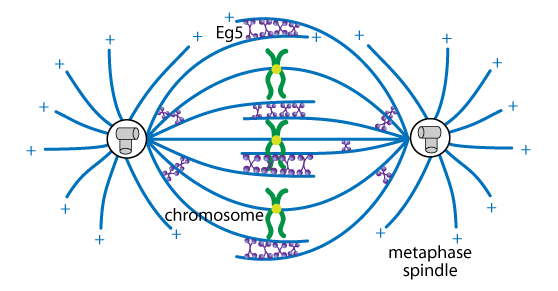 Our experiences in antibody and ELISA technology complements the cytoskeletal and signal transduction focus. We support all of our services with a dedicated technical services department and years of laboratory experience in the fields of cell biology, cancer biology, and neuroscience. If you have an immediate question please send an e-mail describing your requirements to tservice@cytoskeleton.com. Have questions? Email tservice@cytoskeleton.com or call (303) 322-2254.